Tour Operator is a free child theme of Travel Agency WordPress theme. It is a perfect theme to create a website for tours and travel operators and companies. The theme is best suited for all types of travel booking website. You can add trips, destinations, trip types, feature travel activities, highlight your specialties, and even allow your visitors to book the trips. The appealing design combined with modern CSS effects and animation will make your visitors feel like already on a trip. The attractive user interface and advanced features of this theme are enough to keep your visitors engaged them on your website and convert them into customers. Tour Operator is an easy-to-use theme that helps you create a professional website yourself without any prior knowledge or experience of coding. You are using WordPress to build your travel and tour company website. You want to create a travel and tour company website for free without writing a single line of code. You own and run travel or tourism website and want to show your visitors why you are best in the business. You want a travel website that displays tour packages, travel destinations, the complete itinerary of a trip, the costs of the trips, the activities one can do on trips, and other details. You are new to web development and want to create a website without dealing with the technical aspects. You want a modern, clean, responsive, speed optimized, and SEO-friendly website for free. You want free demo content that can be imported with a single click. You are looking for a great design on the front-end and easy-to-use content management system on the back-end. Your client wants a beautiful and easy-to-use website in a short time for their travel and tour company. Tour Operator is a fully responsive and mobile-friendly theme which displays smoothly on any screen sizes. This theme adjusts automatically according to the screen sizes on various devices and provides your visitors with the best user experience and keeps them engaged on your website. You can increase your reachability with the mobile-friendliness feature as more than 50% Google searches occurs on mobile devices. Also, the Tour Operator theme passes Google Mobile-friendly test which ensures better ranking of your website in search results. A slow and laggy website makes people wait for a longer time and is a risk factor for losing a potential customer. Also, people, these days do not like to wait as there are multiple options available, i.e. your competitors. Tour Operator theme is optimized for speed which ensures your website loads faster and provides your visitors with the smooth browsing experience. With its optimized speed, Tour Operator will help you gain more leads and customers. Tour Operator theme is developed with the implementation of our SEO team’s knowledge and expertise in such a way that search engines can easily find your website and rank above your competitors in the search results. This theme will give you an edge to help you outrank your competitors. Tour Operator is fully compatible with the popular WP Travel Engine plugin, which is a powerful travel booking WordPress plugin. This plugin helps you create custom trips with detailed itinerary and FAQs. Also, you can create multiple destinations trips and add multiple activities on a trip. Furthermore, this plugin allows your visitors to book their trip right away. You can import all the images, text, and settings from the live demo of Tour Operator theme with a click for free because we believe you should spend more time on your venture than on setting up your website. The front page of this theme contains a beautiful and attractive banner which helps to keep your visitors engaged on your website. Also, you can display one Call to Action button on the banner section which will be helpful to turn your visitors into customers. You can showcase the information about your travel services, your experience in the business and why should your visitors choose over others in this section. You can also display your customer reviews and your ranking in this section. You can showcase the best selling tour packages for your company in this section. It will help your visitors learn which is the most popular destination which travelers are preferring. You can display the adventurous activities which your visitors can enjoy on their trip. It will help the visitors to book the activities of their choice and enjoy the trip. You can list out the most loved, most recommended or most sold trips of your travel and tour company in this section of the homepage. This section allows you to list out reasons why a visitor should book their trip with you. You can add reasons such as awards, trip customization option, and your expertise in the traveling business. It will help visitors better understand your services before they book a trip with you. You can display the total number of travelers, the number of trips your company has organized and the number of trips types your company has to offer in the Stats Counter section. Want your visitors to take action and know more about your travel services and offerings? The CTA section of this theme will help you achieve that. Tour Operator features a clean, beautiful and attractive design that makes your visitors feel already being on the trip. This theme will help you keep a long lasting impression on your website visitors. Tour Operator theme features 3 custom made widgets to make your website look more appealing and attractive to the visitors. These widgets are popular trips, featured trips, and recent trips. With the Tour Operator theme, you can integrate your social media so that your visitors can find and connect with you on different social media. It helps to communicate with your visitors in a better way and also boosts your business engagement. This theme even supports Russian and Chinese social media such as OK, VK, qq, Zing, and others. You can add as many as social media on your website. Tour Operator theme supports breadcrumb feature which helps visitors navigate easily on your website resulting in maximum engagement. The widget ready design helps you customize your website with the beautiful and attractive widgets. This theme comes with ample space for widgets, and you can add and manage widgets without compromising the design of the theme. Tour Operator theme is fully compatible with the popular WooCommerce plugin. This plugin allows you to create a marketplace on your website and sell your merchandise and accept payments. Tour Operator is a cross-browser compatible theme and works smoothly on all the major browsers. It has been tested on popular browsers like Chrome, Firefox, Opera, Edge, and Safari. Don’t let the language barrier stand between you and your website. Tour Operator is a translation ready and can be translated into your local language allowing you to use the theme in your local/regional language. This theme ensures your visitors are treated with awesome font type of legible size, spaces, and contrast which optimizes the visual appeal of your content. It allows users to enjoy the content reading on their screen with the best user experience. Tour Operator theme allows you to add custom site logo on your website. This theme is compatible with RTL scripts like Arabic. You can create a website in RTL along with LTR language and write your content with confidence. Tour Operator theme comes with extensive documentation to help you set up your travel booking website. You can create a fully functional and professional travel booking website using the step-by-step documentation guide without any prior technical knowledge. Tour Operator clean, well-organized, and commented codes allow you to easily edit and customize your website. Want to modify the CSS effects or change the color of a section? With Tour Operator, you can easily add CSS effects or change the color of a section from the customizer. 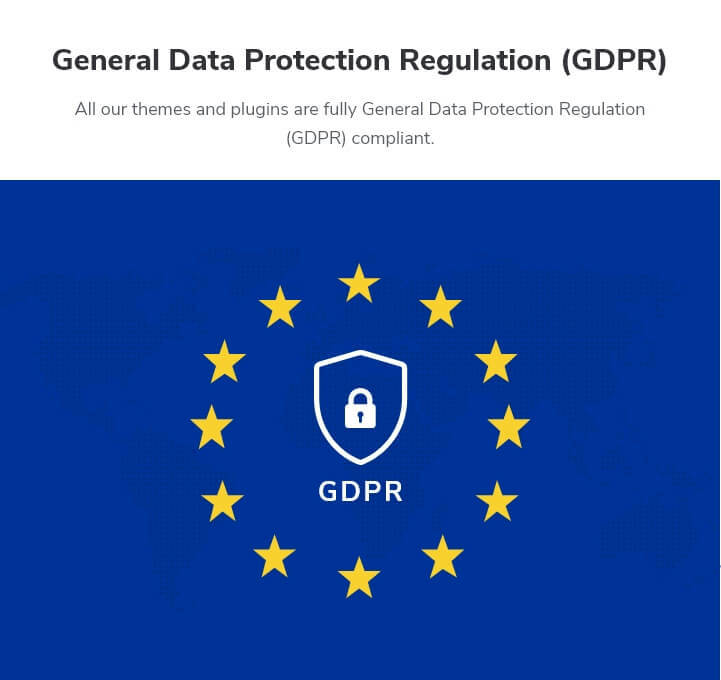 We update our theme regularly to keep your website safe from vulnerabilities and keep your site up to date with the latest security and technical standards. Confused? Have any question or queries related to our theme or stucked while creating a website with our theme? We are to help you. Contact our quick and friendly support team through Support Ticket for any assistance regarding our theme. Yes, you read it right. 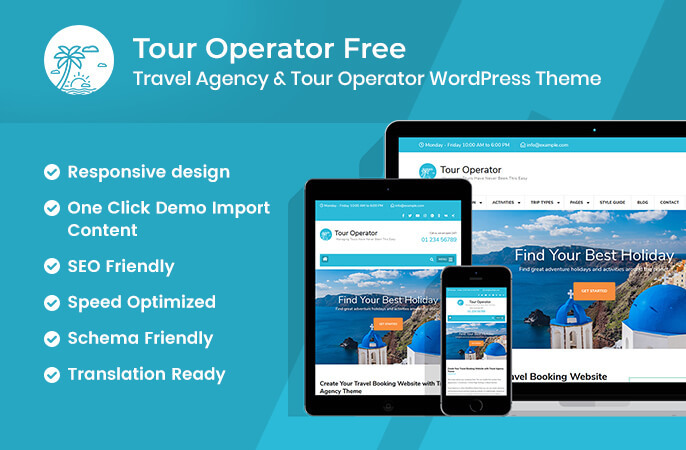 We won’t charge you a single penny for using Tour Operator WordPress theme. And, there’s no catch. You can download and use this theme on any number of website free for the lifetime you want. There is no limitations or hidden cost of using the features included in this theme.